READY FOR A GREAT WEEKEND?! Welcome to GISH PICKS: CURATED CULTURE FOR KIDS AND ADULTS! I’m Sarah Gish, an info-preneur and culture sleuth who finds the unusual and cool in Houston each and every week. Join me as I shine a light on special gems and unique Houston fun. I love this city and want to show you the people and the places and the events that make it great (see more about my wishes for that here). And I want to make it easy so I sort through the cornucopia of events offered each weekend and PICK only three for FAMILIES and three for ADULTS to recommend to you. That way you’ll be all set when Friday hits! If you’re new here, please read below for more about this blog and then check out my PICKS for this weekend, further below. Our Houston museums are busy, busy, busy! There are tours, exhibition openings, special events, classes, and free entry days and nights. For a peek at 19 museums and more information than you could want, go to the Houston Museum District website, here. Coming next month (starting next Tuesday, October 2), there is a special five-week class for adults at Bayou Bend called “Behind the Ropes” in which attendees will become “antique detectives.” It’s taking place every Thursday in October; more info about it is below. For families: The Museum of Fine Arts, Houston’s central campus hosts a weekly “Family Zone” from 1-4pm every Sunday and the Children’s Museum of Houston is offering free family fun on Thursdays from 5-8pm and daily events for kids 0-12 years old. I’m thrilled because WOMEN are being highlighted by our city’s cultural organizations over the next several months. Perhaps this will be an ongoing trend? Below are upcoming events I found – please let me know by reply email if you know of any others. Once again, the arts lead the way in showing the best of humanity! Women should be celebrated and these events (and more) are wonderful ways to do that. And, finally, a note about this week’s VIDEO PICK: it’s longer than usual, but I thought it was so cool, I had to share! It’s the story of our beloved Astroworld and I felt it made a great complement to my Astroworld party PICK below. Thanks to Kevin Perjurer of Defunctland for creating it. See more of their cool shows about spots no longer here on their popular YouTube channel. We are the most diverse city in the country, not only because of the over 150 languages spoken here every day, but also because of the diversity of events offered and places to hang our (cowboy) hats. Because of that, I decided back in 2004 to start sharing my adventures in Houston and my knowledge of it with others via GISH PICKS. And, since 2016, I have been bringing it to life with my PICKS-ON-WHEELS Facebook Live segments in which I travel around our city in my Phoenix Rising Art Car. Stay tuned here for more details! My adventures will sometimes be posted as my weekly VIDEO PICK in this blog. A note about the social media for GISH PICKS: please LIKE our Facebook page for FAMILY PICKS and our Facebook page for ADULT PICKS. Click “See first” in the dropdown menu on the LIKE button so you won’t miss a post! And please follow me on Instagram and Twitter. You’ll get all my CULTURE PICKS and more that way. And there’s one last way to stay in touch with me: I organize many events, such as labyrinth walks and workshops, so if you’d like to be informed of those before everyone else, please subscribe to my Gish Creative list here. SPREAD THE WORD AND ADVERTISE IN GISH PICKS! Please be sure to tell your friends about GISH PICKS – the more people who know about these unique cultural events, the more unique cultural events the organizations will offer us. Please also tell the orgs that I sent you. My business grows by word of mouth so I thank you for your continued support. And, last but not least: this blog is free to you, my dear reader, but it’s not free for me to produce. I pay my designer and I spend many hours researching, compiling, and writing GISH PICKS each week. If you have an event you’d like me to PICK, please email me and let’s see how I can help. With me on your team, you’ll reach thousands of Houstonians in a quick-and-easy way! 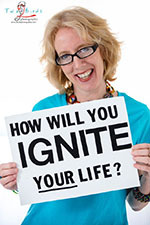 Have a great weekend and please love one another, please share this, and please – go IGNITE YOUR LIFE! The Printing Museum is open weekly from Wednesday through Saturday, 10am-4pm, and they offer tours daily at 11am and 2pm (see all the deets here). 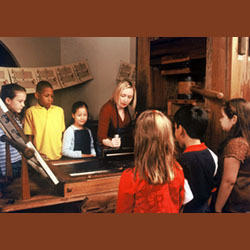 During your guided tour, you will learn of early forms of printing, participate in hands-on printing, discover the importance of the Linotype machine, and learn about the history of the art of printing. Each tour ends with a craft activity (time permitting). General admission is $5. It’s time for the thoroughly creative and always festive opening of this year’s annual “CraftTexas 2018” exhibition at the Houston Center for Contemporary Craft this Friday, September 28, 5:30-8pm; the exhibition will be on through January 6, 2019. 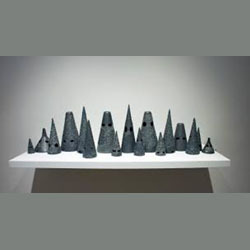 This is the tenth in a series of biennial juried exhibitions showcasing the best in Texas-made contemporary craft. Juried by Jennifer Scanlan, Curatorial and Exhibitions Director at Oklahoma Contemporary, the show features 50 works by 36 artists and includes a wide range of sculpture, jewelry, and furniture, with a strong emphasis on cutting-edge works. 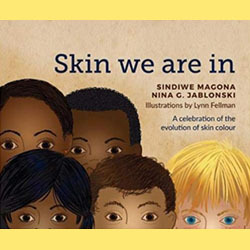 This Saturday, September 29 at 9am, HMNS and the Leakey Foundation present a class and book signing of the new children’s book, Skin We Are In. In a celebration of the glorious human rainbow, the book’s co-author and anthropologist and biologist Dr. Nina Jablonski will explain why humans have different skins, and how people's thinking about skin color has changed throughout history. Her emphasis is on teaching everyone one thing: Inside we're all the same. The event is free with paid museum admission. 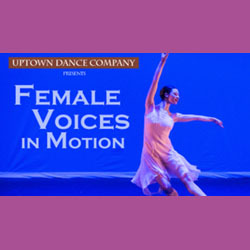 Uptown Dance Company is presenting “Female Voices in Motion” this Friday, September 28 and Saturday, September 29 at 7:30pm both nights. The evening features world premieres in contemporary ballet, jazz, and modern dance featuring a trio of Houston-based female choreographers: Krissy Richmond, who presents a classic jazz tribute; Jane Weiner of Hope Stone Dance, bringing her signature quirkiness and joy of dance; and UDC Artistic Director Beth Gulledge-Brown showcases the company’s classical technique and aesthetic with a dramatic contemporary ballet. Alternative Houston decided (and I agree) that Astroworld needs to be celebrated so this Sunday, September 30 from 4-9pm, they are hosting a super fun, family-friendly “Bring Back Astroworld!” party. There will be a rock climbing wall, fun carnival games, face painting – plus a special Astroworld wall to have your photos taken in front of and there will be a large screen with Astroworld footage and commercials running throughout the event. Tickets are $10 presale and can be purchased here. 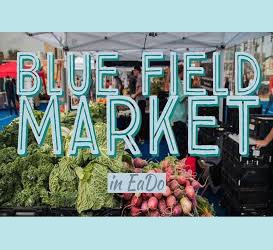 “Blue Field Market” is a relaxed market event that happens every Saturday from 6-10pm in downtown Houston. There are over 30 local vendors with products ranging from farm fresh produce, honey, salsas, art, jewelry and unique handmade items. Customers can enjoy the market and shop for organic groceries, gourmet foods, and unique handmade items...all while listening to live music, relaxing with free yoga, participating in friendly yard game competitions, and enjoying craft beer. Register now for “Behind the Ropes: Antiques Detectives at Bayou Bend,” a fascinating five-week class starting next Tuesday, October 2. Each evening will bring participants up close and personal with some of Bayou Bend Collection & Gardens' great historical treasures. 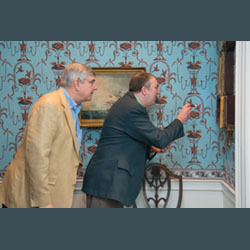 By the end of the course, you'll have an enriched perspective on the hidden history within American art and antiques. Learn to look closely with an antiques photo safari; create a pop-up exhibition; and make a pendant using historical smithing techniques. Best of all – you will be encouraged to debate, question, discuss, and ponder with fellow classmates! Click here to register today; space is limited. Please note that registration for individual dates is not available. 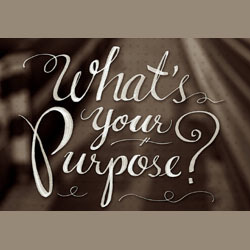 This is the class for you if you are wondering what your purpose in life is! Join Gandhari Bouligny and me (Sarah Gish) on Sunday, October 7 from 2-4pm at Body Mind & Soul as we talk to you about ways to catch your dreams and uncover who you really are, using tools from astrology as well as personal intuition in this two-hour, hands-on workshop. We’ll start out dancing (yes, we will!) and then each participant will learn about their special astrological characteristics and will be given their life path number (using numerology) from Gandhari. I will guide everyone with salient questions and information from Ayurvedic philosophies designed to open your mind to who you really are – physically and in your soul – and what you really want to do with your life. All of these activities will lead to writing a personal mission statement. Each class member will walk away with a better understanding of themselves and their life vision and concrete ideas on how to become who they are truly meant to be. You’ll also take home your written PERSONAL MISSION STATEMENT. It’ll be a wonderful way to spend two hours, just on YOU! Click here to register. 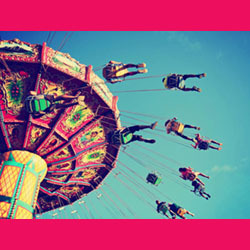 GISH PICKS: CURATED CULTURE FOR KIDS AND ADULTS is a free weekly email in which I cull through the HUNDREDS of events offered in our city each week and PICK just three for adults and three for kids to recommend. It’s #GishPicks #CuratedCulture to help you plan your weekend! I know many of you go to events based on GISH PICKS recommendations; PLEASE remember to tell the organization that you are there because of us. Word-of-mouth like yours helps our business to grow. In the same spirit, please also feel free to share GISH PICKS with friends and families. Do you have something you would like to promote on GISH PICKS? You can promote cultural events, products or services to Houstonians all over the city and the surrounding area who are curious individuals, involved citizens and great shoppers. We love doing this community service and want to keep it free for our readers but in order to justify the hours spent researching, writing and designing this newsletter, we need advertising support. If you'd like to learn more, please click below. 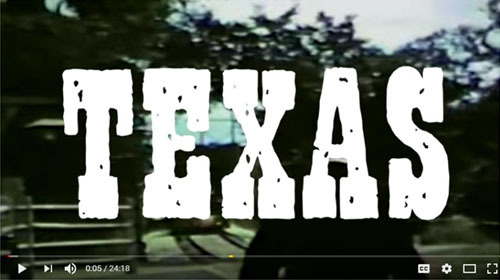 The purpose of GISH PICKS is to help Houstonians become aware of all the interesting and unique things they can do in Houston and the surrounding area. Exploring your city is a great way to #IgniteYourOwnLife and we are so happy to help you do that. Please do give me feedback and ideas, as you are out there in the trenches also looking for interesting things and I want to hear what you find. If you are having trouble getting to a website listed here, try hitting the "Ctrl" button and left-clicking on the web address, which should make it "live". OTHER SERVICES including SPEAKING ENGAGEMENTS, INTERACTIVE WORKSHOPS, MARKETING, PRIVATE CONSULTATIONS, GUIDANCE SESSIONS FOR FINDING YOUR PURPOSE, and ART PROGRAMS. Talks and workshops cover topics such as summertime fun, passion-finding (for adults, children and families), marketing, historic preservation, art classes, activism, and more. All of these services can be tailored for any audience and budget.